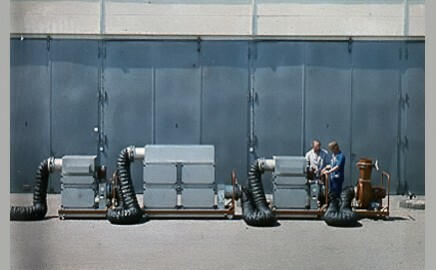 The complete plant is mounted on a wheeled chassis. Each unit is constructed so that it will pass through a standard 1-metre wide doorway. 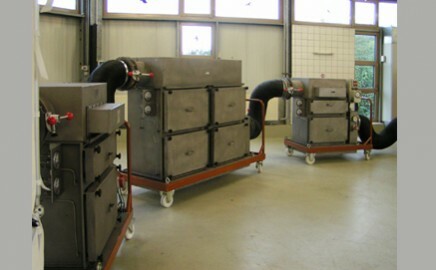 All units are interconnected by connection pieces and hoses. With the exception of the base frame, all filter units are made from stainless steel.